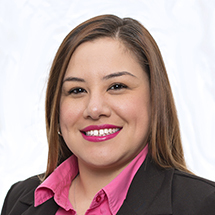 In her role as a Retail Assistant Manager at Sauk Valley Bank, Violeta Nava helps customers by providing them with products and services to meet their ever-changing financial needs. Violeta has been in the banking industry for the last 13 years with various roles such as; teller, banker and assistant manager. When Violeta is not at work, she enjoys spending time with her children, and finding fun activities they can all do. She is also a huge sports fan, and loves attending sporting events with her teenage son.